Jan, a native South Carolinian, actually grew up in the Grocery Industry, holding various positions in Store Operations, Distribution, and Human Resources. The majority of Jan’s career was in Human Resources, so he considers himself a true people professional. During his career in Human Resources, Jan held the positions of Officer and Director of billion dollar corporations, and also had the privilege of serving on the board of directors of a billion-dollar corporation. While in Human Resources, Jan was also on the Board of Directors of the Better Business Bureau, and was heavily involved in United Way campaigns. Jan attended the University of Georgia, where he received his BBA before serving in the US Navy. Jan and his wife, Sally, and their two children, Carolyn and Michael, moved to Katy, Texas in 1987. Texas has been their home ever since. Jan believes that a good Realtor should also become a friend. After all, that was the experience that led Jan to real estate in the first place. Jan and Sally's friend was Jimmy Franklin, of RE/MAX. It was Jimmy who convinced Jan that he should consider using his strong people skills in real estate, and as they say, the rest is history. In Jan’s first year, he was fortunate to become a member of the RE/MAX 100% Club, and his business has continued to grow. Jan attributes his phenomenal success to his dedication to giving each and every client the service they are seeking, and he has fun doing it. Jan brings a unique background to his Discipline in that he held the position of V.P. of Human Resources for Billion Dollar Grocery chains for over 20 years prior to being involved in Real Estate Katy TX. 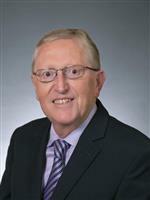 In these roles, he acquired a wealth of experience in negotiation techniques, which have been invaluable for his work in promoting Katy, Texas homes for sale. Interesting enough is Jan’s extremely high kinetics ability which allows him to very keenly interpret what another agent is saying and the true meaning of how it is being said. Jan is a member of Buffini and Company, which is the largest Training Organization in the country for Real Estate and Mortgage professionals. This system provides a simple but highly effective way of working almost 95% by Referral only. This means when he is working with Katy, Texas homes for sale, he is getting the majority of his leads from past clients referring their friends and co-workers to him, because they know they will be well taken care of by Jan. This is so evident because Jan is known for selling homes to clients over and over again. 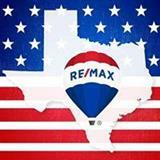 They trust Jan and have the confidence that he is the expert for Katy Texas real Estate. Since 1999, when Jan joined RE/MAX, he has received the RE/MAX Hall of Fame award for earning over a million dollars in commissions. Additionally, at the RE/MAX State convention in 2010, Jan received the "TRUE GRIT AWARD" for getting the job done at all costs. The award commemorates Jan's ability to bounce back from severe personal adversity and resume excellence in the true RE/MAX tradition. Jan additional prides himself as being a Trusted Advisor to his clients and friends. Jan has an extensive list of Professional services that he can recommend from a variety of disciplines. This would include an attorney to do your will to someone who can assist you in doing an inspection on your car. Jan for over 9 years has been fortunate to be a member of BNI, which is the largest and most successful Business Networking organization in the world. Jan has met so many great individuals with a huge diversity of talents to serve his clients and friends. In BNI, Jan has also be fortunate to have been President of one of BNI Westside Business Partners in Katy three times and Vice President one time. What a great opportunity to meet super individuals with a dedication to serving their customers.